The most powerful relaxation method (according to me). Your Zen Cushion: 2 tennis balls in a sock. Somewhere reasonably soft to lie down. A yoga mat will do! Your bed or couch will NOT do. 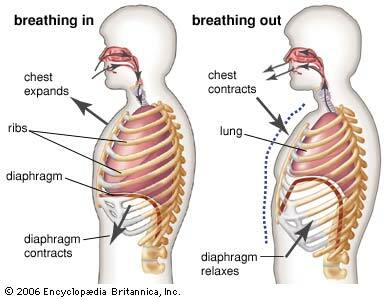 The diaphragm is a powerful muscle that assists breathing. It is a large, dome shaped muscle located between the lungs and the abdomen. Your abdominal muscles help move the diaphragm and giving you more power to both fill and empty your lungs. When you use your diaphragm to assist breathing, you allow more oxygen to fill the entire lung and you completely empty the lungs expelling toxic CO2. To start, place one hand on your upper chest and the other just below your rib cage. This will allow you to feel your abdomen move in and out as you breathe. Tighten your stomach muscles, letting them fall inward as you exhale through slightly open lips. The hand on your upper chest must remain as still as possible.